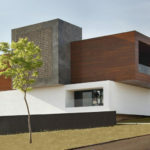 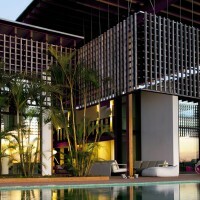 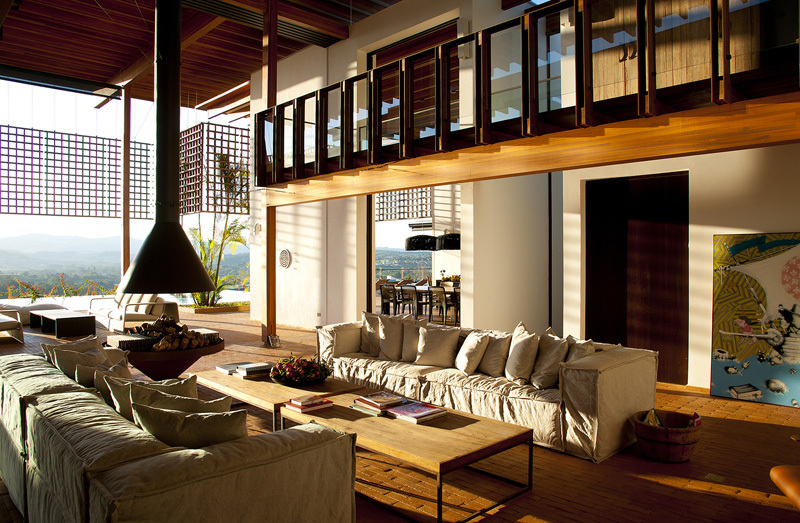 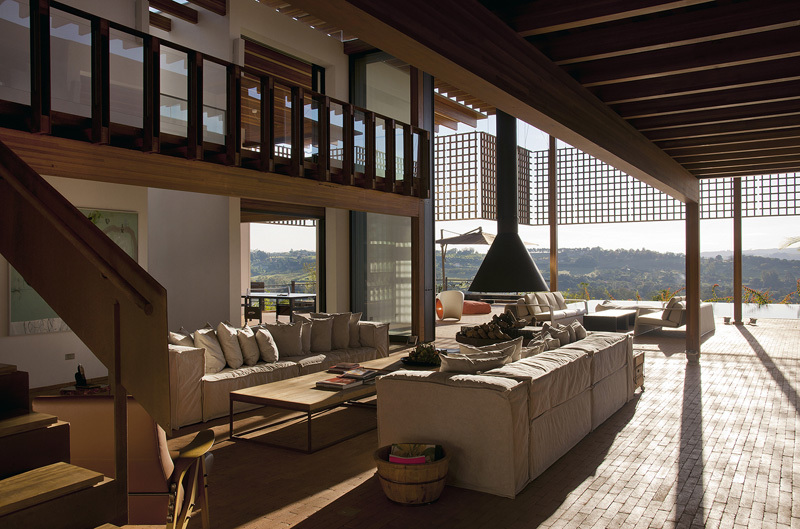 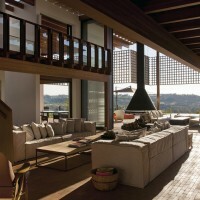 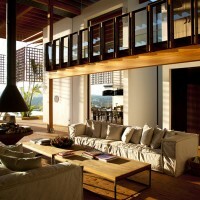 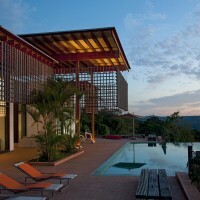 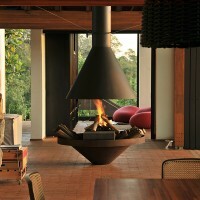 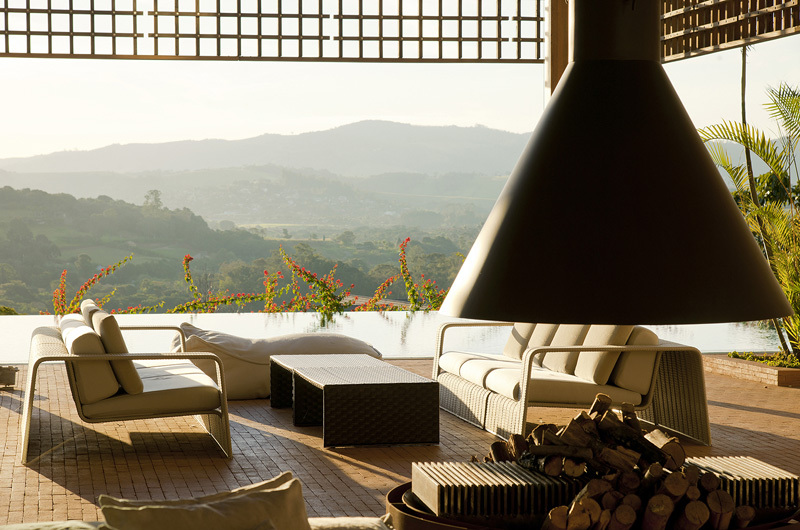 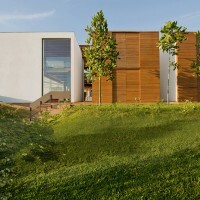 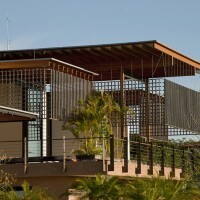 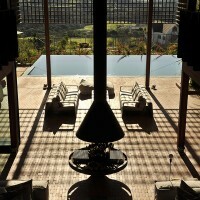 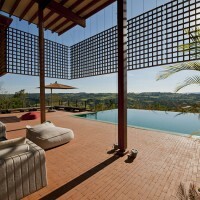 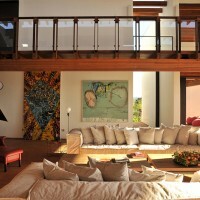 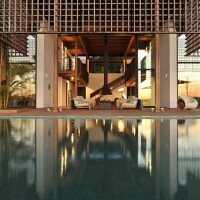 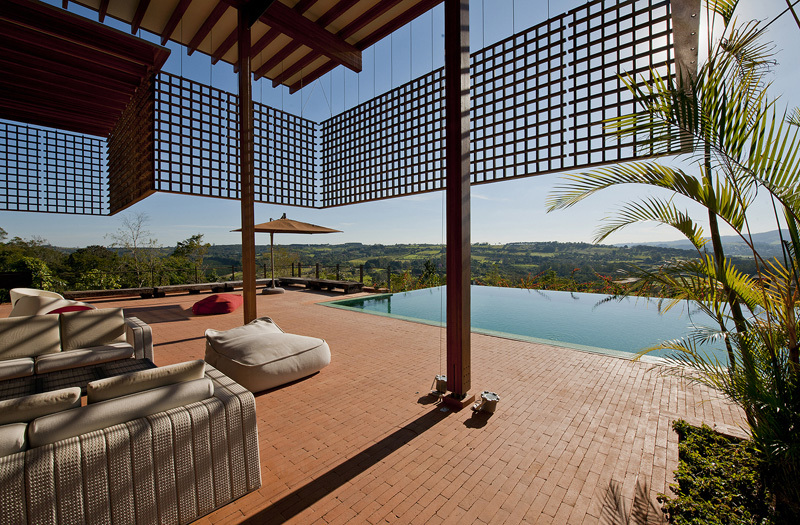 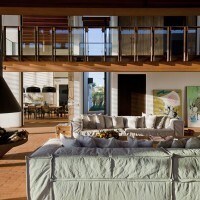 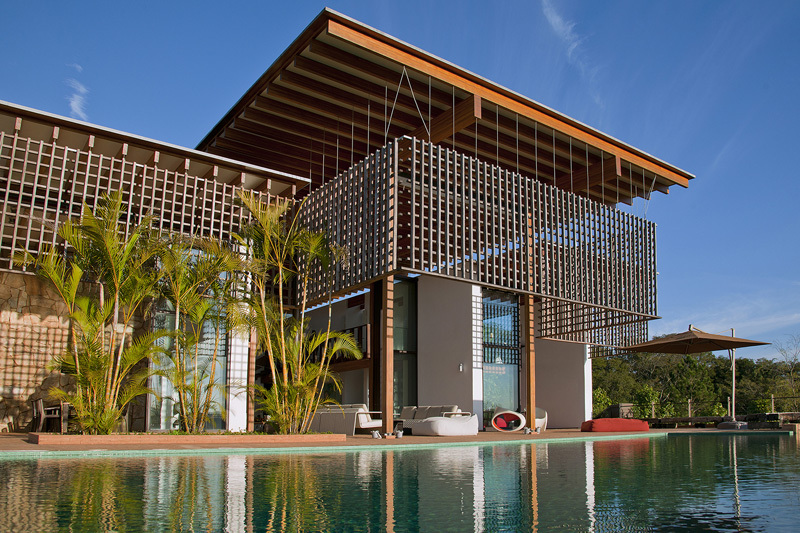 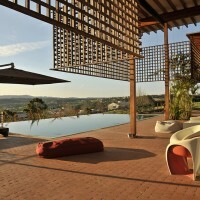 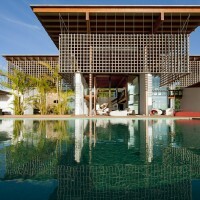 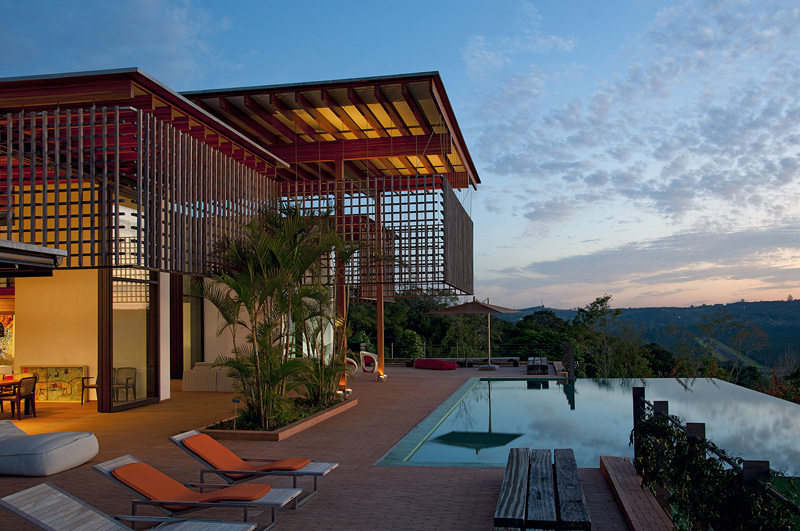 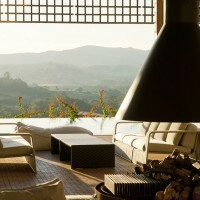 Candida Tabet Architecture designed a house that has stunning views of Bragança Paulista, Brazil. 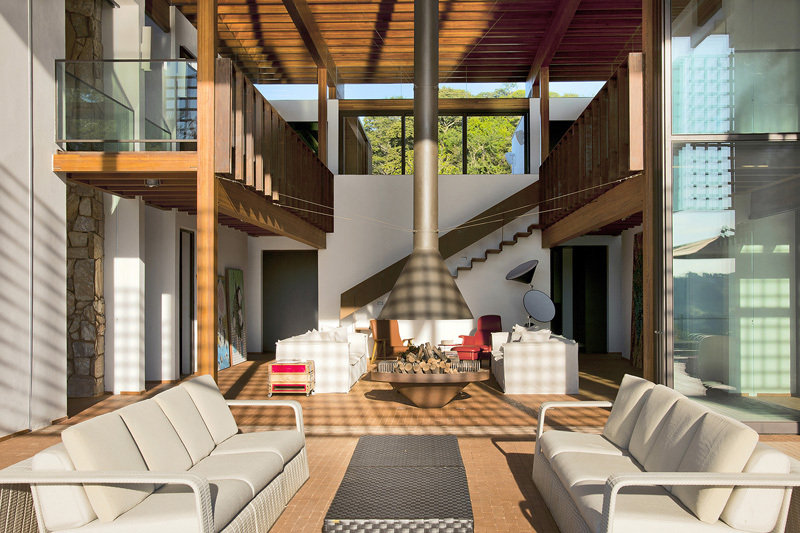 Characterized by huge spans and minimum support points, the Quinta da Baroneza house architectural equation could be solved thanks to industrially cultivated, laminated and processed Eucalyptus Grandis wood. 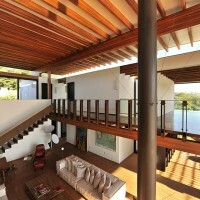 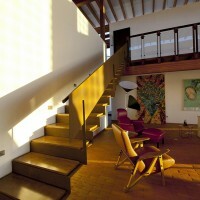 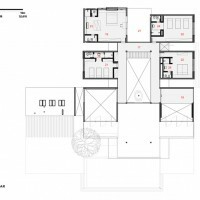 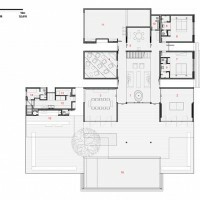 This allowed the house to be composed by concrete-free floor and ceiling slabs simply supported by laminated wood beams. 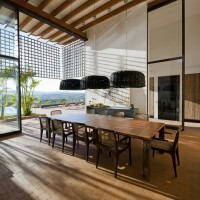 Extra sunlight was invited into the house through openings created by detaching the horizontal planes from the vertical ones. 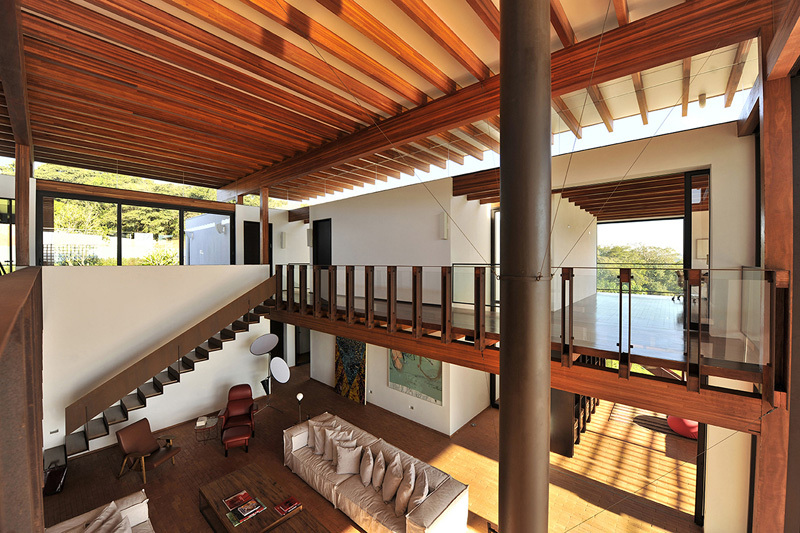 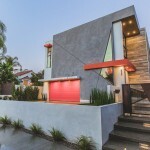 An indoor walkway connects the master bedrooms and reveals the living room below. 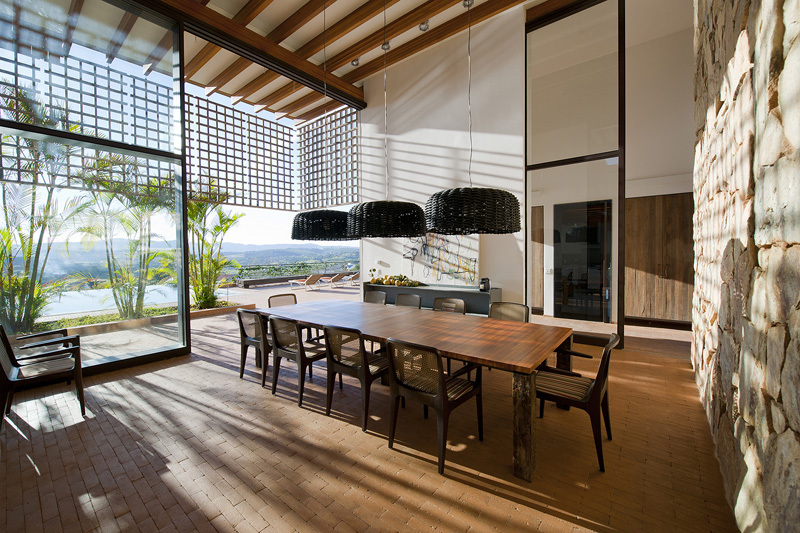 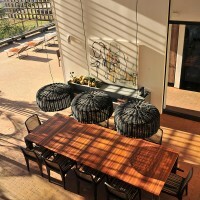 From the North facing spaces one can observe the splendid landscape in an inviting area under a sun filtering wood lattice panel.